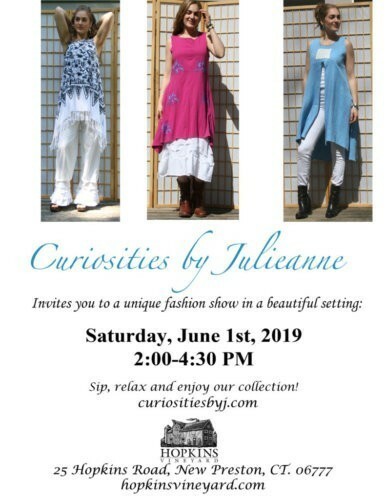 Curiosities by Julieanne invites you to a unique fashion show at Hopkins Vineyard. Sip, relax and enjoy the collection! There is no fee for this event, and we hope to see you there!